All hard drives were erased / formatted using Disk Utility to OSX Extended Journaled each time prior to using SuperDuper & Carbon Copy Cloner. Superduper – All Files via USB2.Preparation completed in 20 secs. Then starts copying files. Effective copy speed varies greatly. It first hovers between 2.75MB/s and 3.75MB/s, then jumps to 9+MB/s, slows to 8+, 6+, 5+. You get the idea. 5GB is transfered in 16 minutes. 10GB in 27 minutes. In all it takes 49 minutes to back up 16.8GB completely. 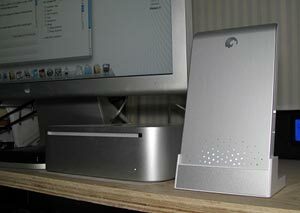 SuperDuper Backup – All Files via FireWire400 has the preparation done in 13 secs and then starts copying files. Effective copy speed varies greatly as well depending on the files being copied. 5GB done in 16 minutes. 10GB in 26 minutes. In all it takes 46min 28s to back up 16.8GB. 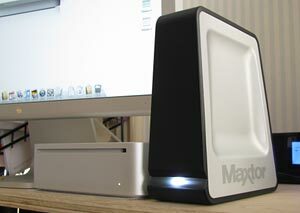 Conclusion: using SuperDuper, the 16+ GB backup did not show any significant difference between using USB & FW towards the Maxtor OneTouch4 drive. Disk-to-Disk clone via FireWire takes off pretty good. 1GB in 1:30. 2GB in 3:53. 5GB in 9:28. 10GB in 19:15 and the entire backup completed in 29:15. Very impressive compared to SuperDuper. 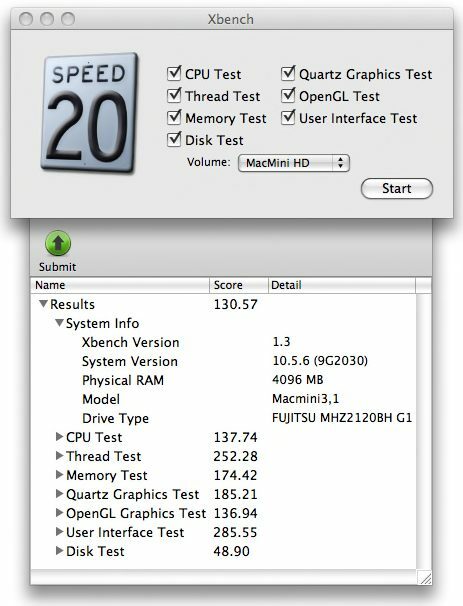 Disk-to-Disk clone via USB is slower off the mark compared to FireWire. 1GB in 1:45. 2GB in 4:20. 5GB in 10:01. 10GB in 20:50 and the entire backup was completed in 31:03. Not quite as fast as FireWire, but still way better than using SuperDuper through both. Starting with Carbon Copy Cloner. Missed the 1GB time, but it was around 2min. 2GB in 4:18. 5GB in 10:32. 10GB in 21:28. Task completed in 31:56. A bit slower, but as a whole about on par with the Maxtor drive. SuperDuper? I think we can safely assume it is going to be >45-50 minutes and I’m taking the liberty to skip that test. I will actually need to update this post in the upcoming days as I don’t have an empty spare SATA drive handy right this minute. 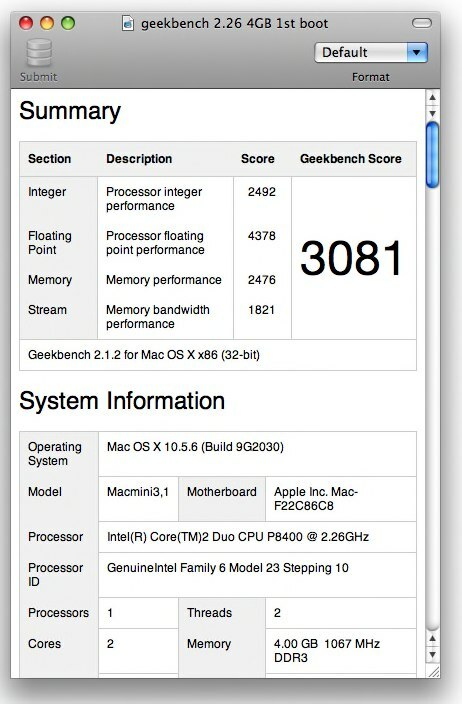 Boot times seem to edge out for USB2, but clearly connecting to the Maxtor via USB adversely affects the overall and hard drive score in Geekbench; where via FireWire it keeps up with the internal hard drive. Booting was strangely slow at 1:23. The second time a more normal 35s from Option to completed desktop. Clearly this drive performs less well than the Maxtor. Temperature was not an issue. During testing the CPU temperature would rise from 50C to 63C and I noted a max of 71C at one point, but the fan(s) remained within plus or minus 5 rpm of 1500rpm and quiet. The internal hard drive was near silent. Its temperature rose from 46C to 52C. Now sits idle at 42C with an ambient temperature of 65F. Looking forward to your test with the ministack v3. Nice writeup and illustrations. I’m comparing FW and USB external drives on my Mini right now, so the test case and numbers prove quite helpful. Glad you found the numbers useful. I didn’t unpack the ministack completely last year and it has been sitting idle on the shelf. I must make some time to put a drive in it and see how it works.